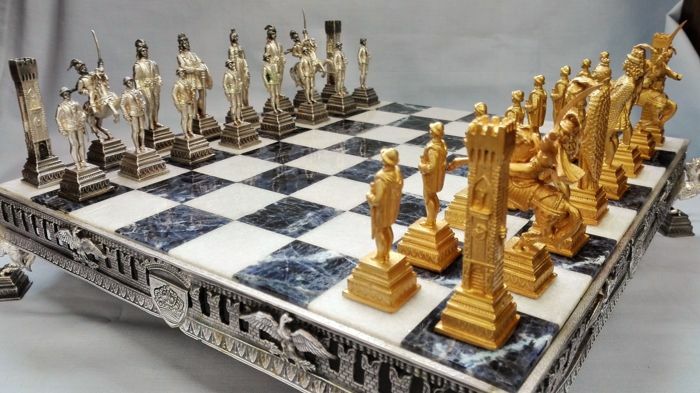 Exclusive creation by Piero Benzoni (1938), pieces and structure in 24 kt gold and silver plated bronze. 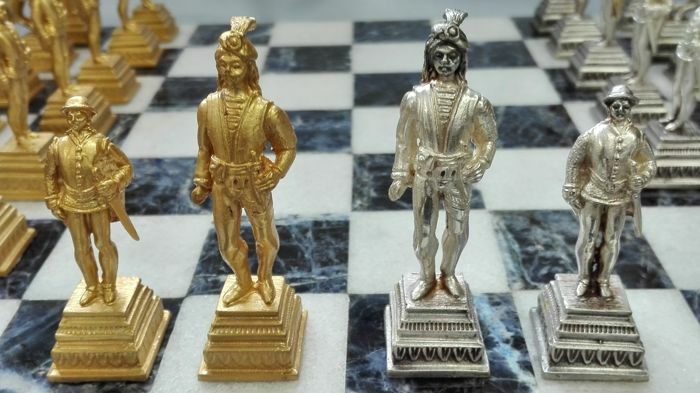 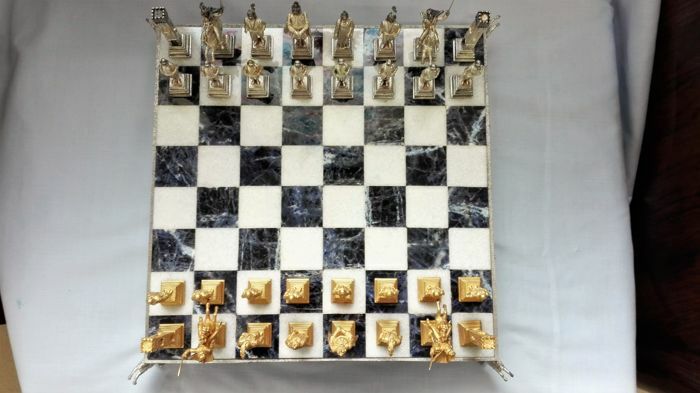 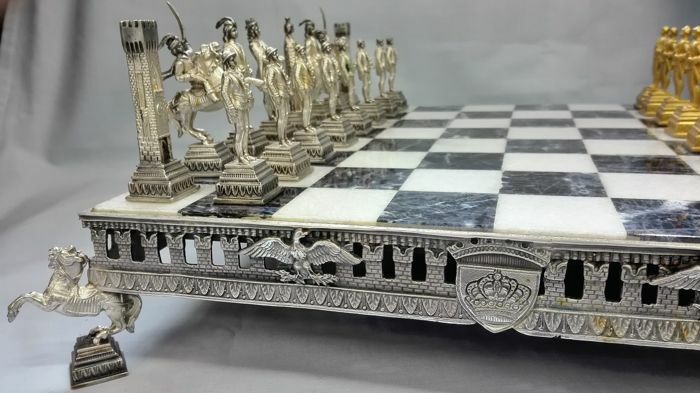 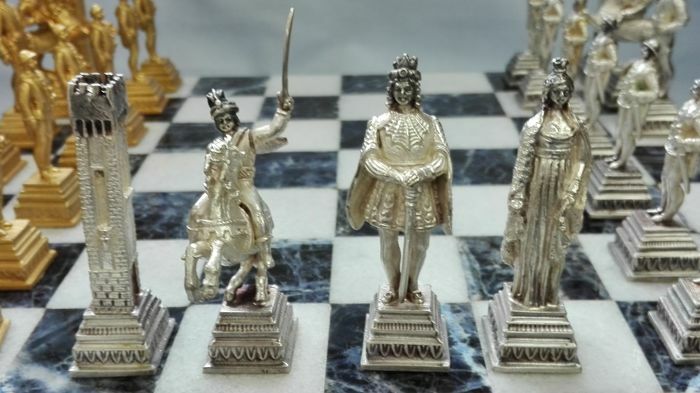 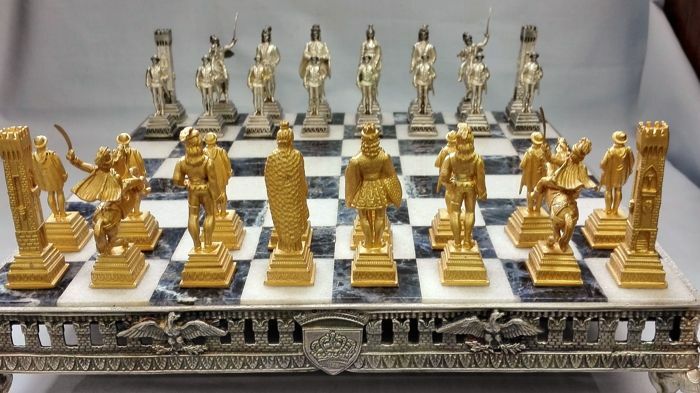 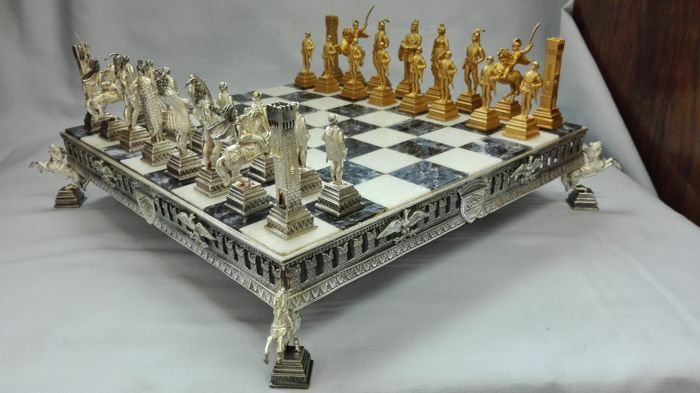 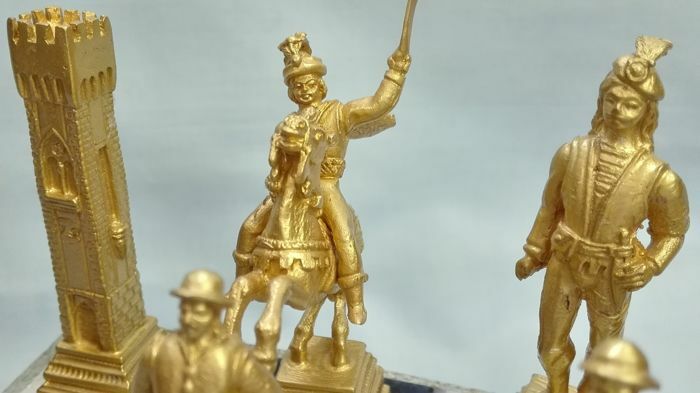 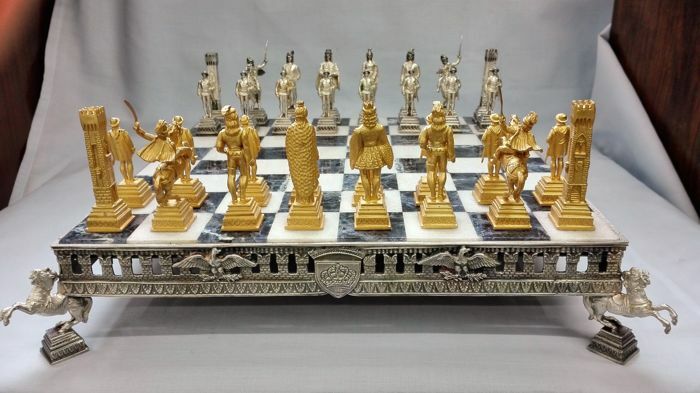 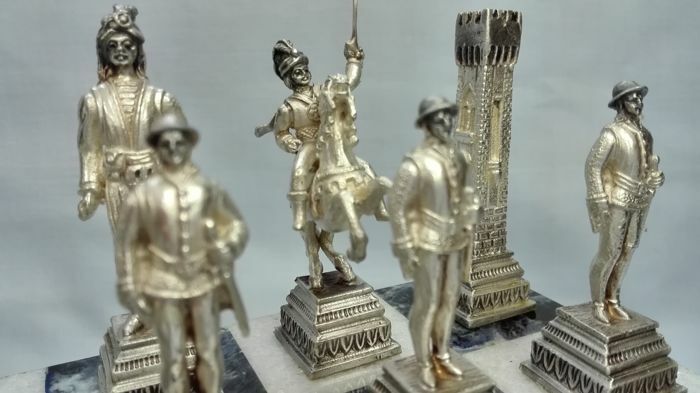 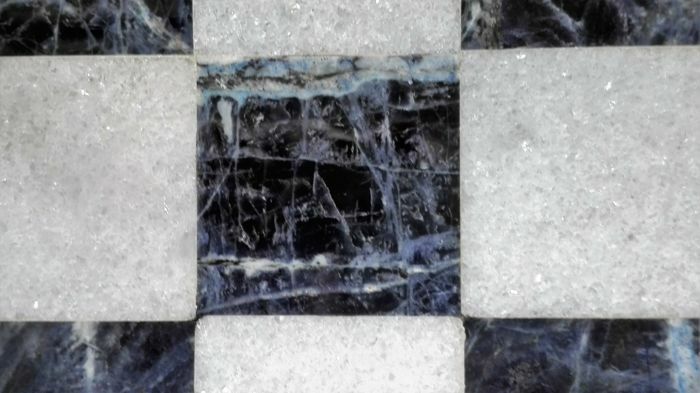 Luxury chess set composed by a chessboard whose base in precious sodalite is mounted on a silver plated framework, and by 32 pieces in solid bronze, decorated with real gold and silver; handmade set of fine workmanship. 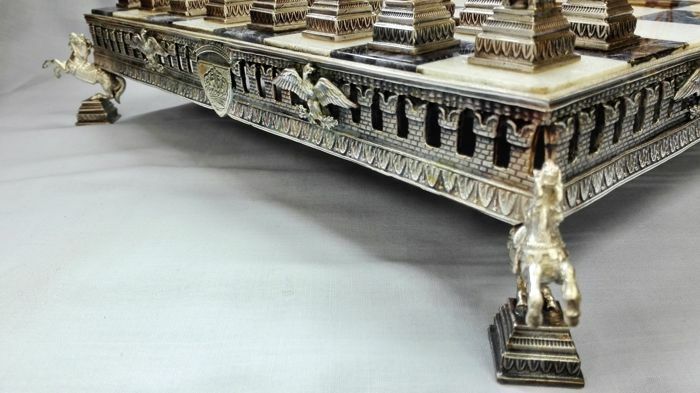 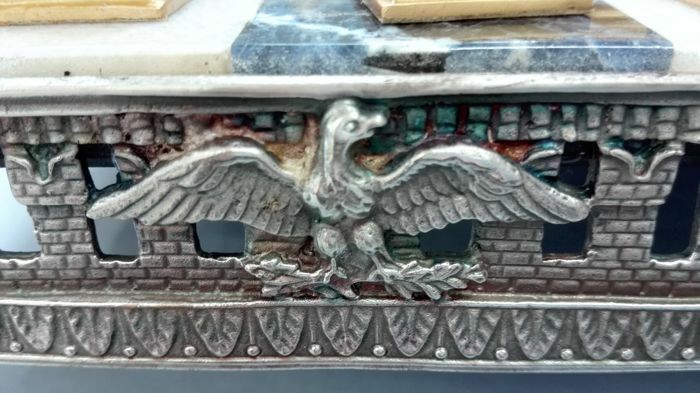 Refined silver plated bronze frame entirely decorated. 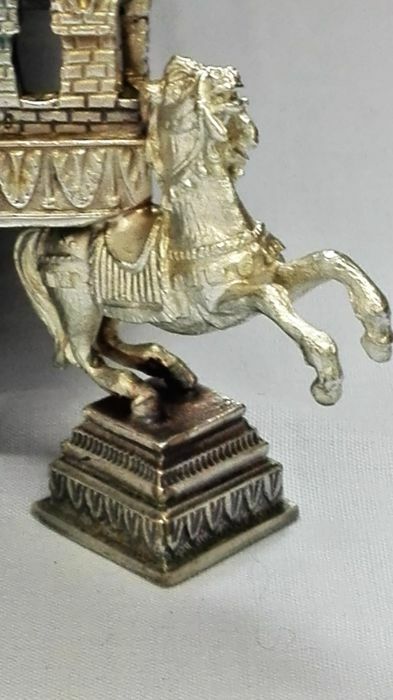 Dimensions: base 30 x 30 cm (35.5 x 35.5 cm with corner horses). 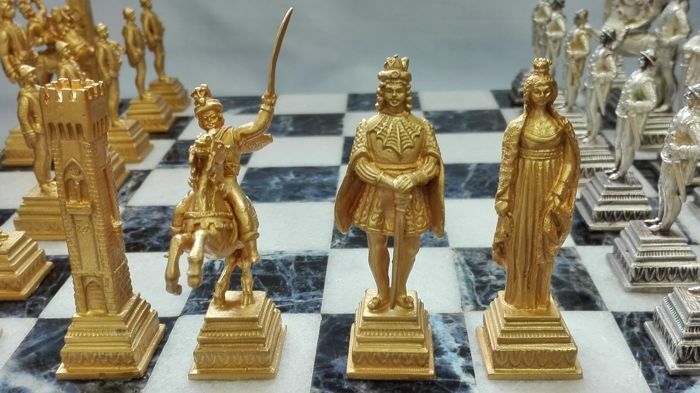 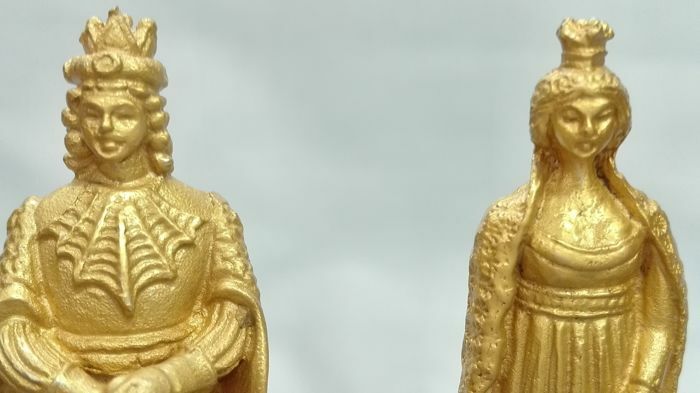 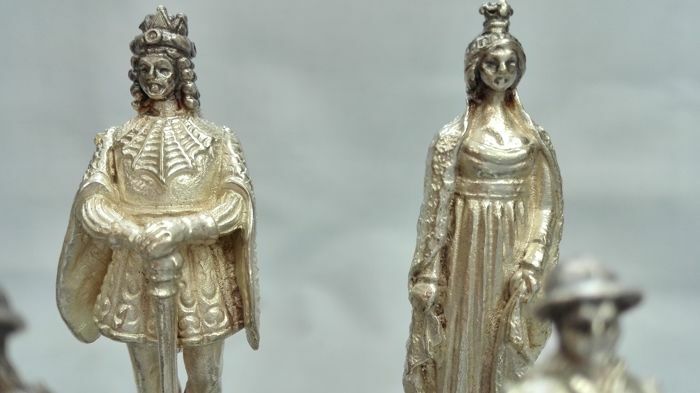 Pieces height: Tower 6.5 cm, Horse 4.5 x 7.5 cm, Bishop 7 cm, King 7 cm, Queen 6.8 cm, Pawn 5 cm. 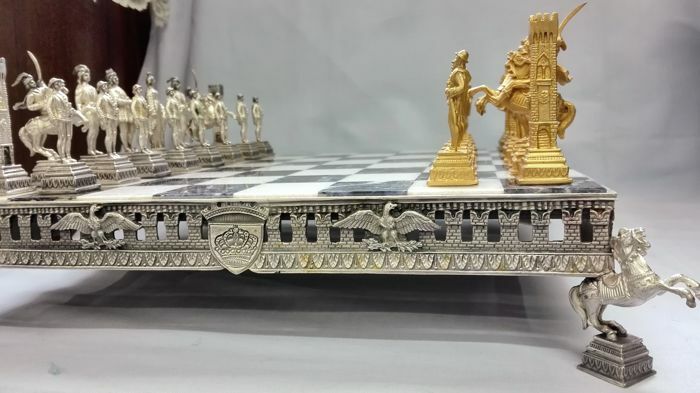 A quality set that safely arrived. 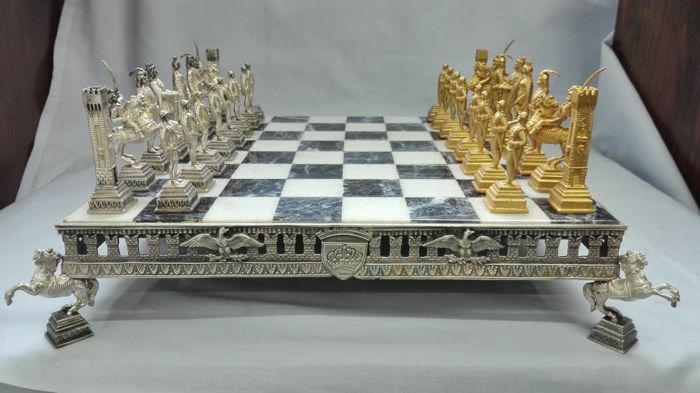 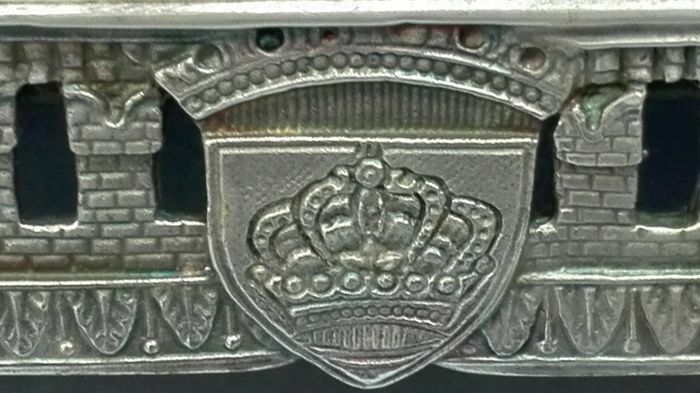 The set is unique and quite distinctive. 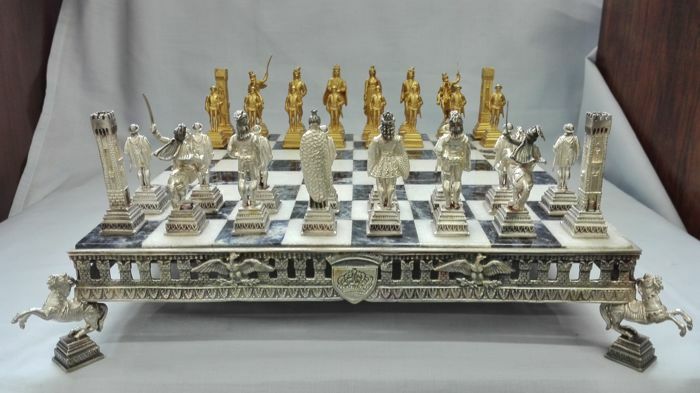 Good Seller, Well packed and fast delivery.